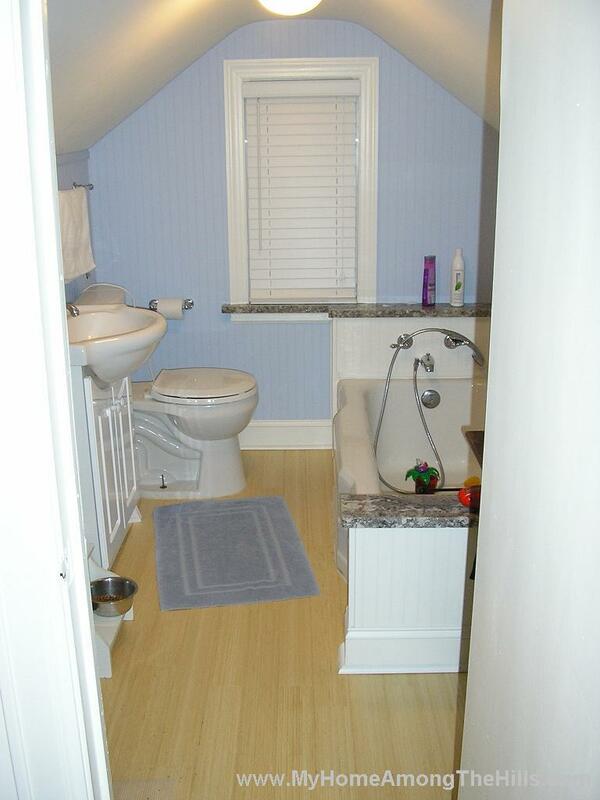 When I first started this blog, I mentioned the bathroom on the top floor of our house. During my vacation around Christmas-time 2007 (yes, 2007! 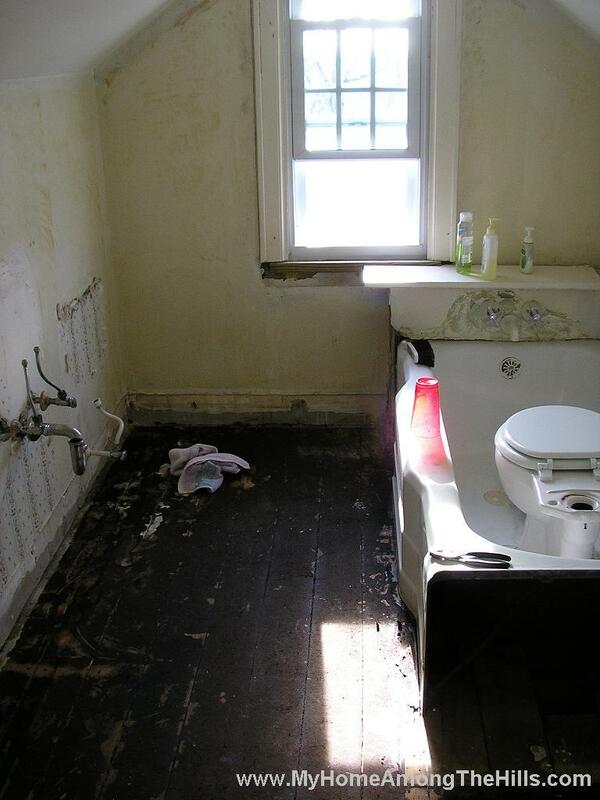 ), we decided to tear out everything in the bathroom and start over. 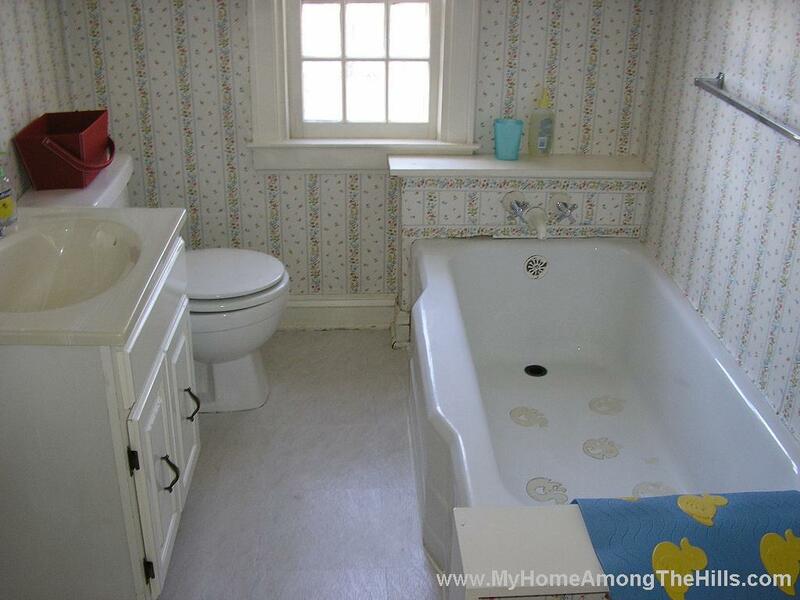 The house was built in 1939, but I am pretty certain that the bathroom had been there since 1743. Anyhow, we pulled out what appeared to be 265 year old nasty and started over. Of course, nothing in the room (or the house for that matter) is level or square. Welcome Warren to the story. We had installed bamboo flooring in our place in TN and had a box of it left which we brought to WV when we moved. Of course, I measured and determined that we needed one more box…rats. So we ordered one more box and started about re-flooring the bathroom in bamboo. If any of you have ever installed solid wood floor, you know it is pretty easy – if you have a level and square area in which to lay it. No such luck in our place. Actually, it is still not hard, even with a mobius strip-like room…it just takes a little longer. That’s my story and I am sticking to it. 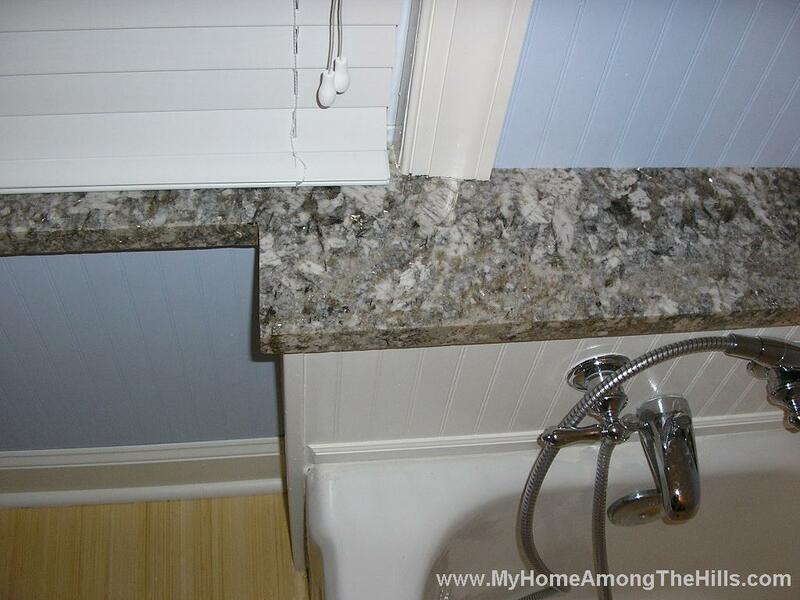 So last weekend, I finally finished the last of the work in the bathroom. That’s right, a mere 393 days later and the bathroom is finished! Now the floor got installed in one day, but I had to wait a year to…uh…make sure it settled properly. It is such an incredible improvement over what we had. 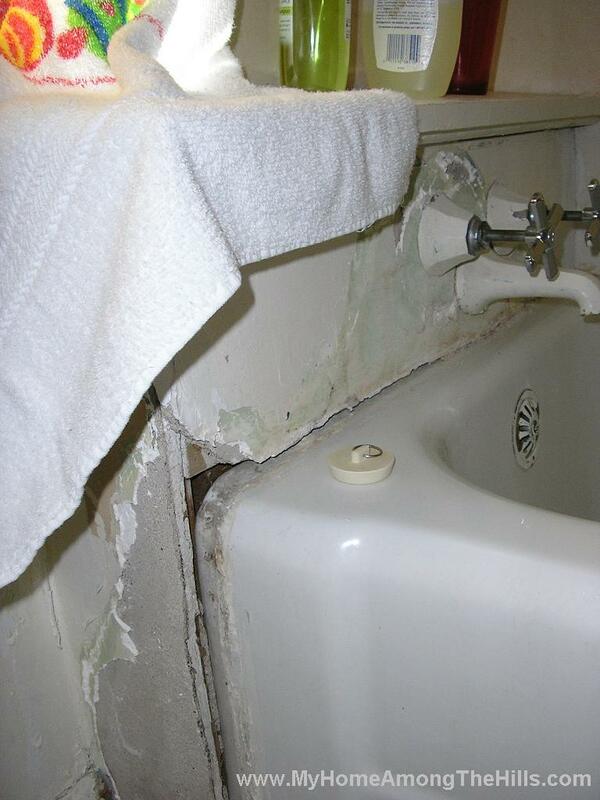 As I looked back over the pictures of the original, I am shocked…mainly shocked at how awesome I am for fixing it! Well, actually, I am shocked at how awesome my wife is for living in the craziness until we got it done! I guess I am on a cute little program kick the last few days, but here is a program that will tell you the number of days between 2 dates or the date a certain number of days from today. That’s how I knew how long it took me to get the bathroom finished! Anyhow, as always, this program is free, but not to be used for anything but fun. I follow Evil Twin Wife’s blog, and she recently participated in a fun internet meme. You leave a comment on this post, and I’ll assign you a letter. You write about ten things you love that begin with your assigned letter, and post it at your place. When people comment on your list, you give them a letter, and the chain continues on and on. (I copied that from her and she copied off someone else, so… feel free to rip it off again). Turtles – turtles are the strangest creatures…they are armored and primitive but always seem so fragile. I always stop when I see them on the road and move them out of the way…I love to help turtles. Taffy – Saltwater taffy is so awesome, but I only really like it when I am at the beach. Truffles – I don’t think I have ever found a truffle I didn’t like. These are some of my favorite. Tinkering – My grandfather was a tinkerer before me and I think I have picked up his tinkering addiction. I prefer to reinvent the wheel whenever possible. Even better, I like to over-engineer wherever I can! Thera-gesic – I go to the gym pretty regularly and lift weights which, of course, leads to sore muscles. 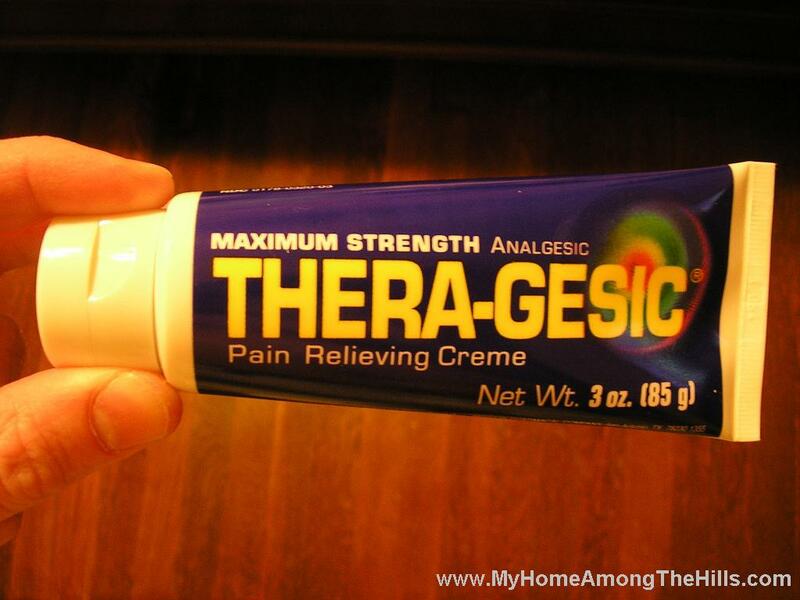 Thera-gesic absolutely saves lives! Temperature – I like it hot. When I lived in PA, I thought I would die if I ever got hot. Moving to Tennessee broke me of that. I came to love the heat in Tennessee. Hey, that reminds me, I also love Tennessee. We moved to Nashville shortly after we were married to attend graduate school at Vanderbilt. For some reason we stayed when we finished school. So, Emily and I sort of grew up together there. We were pretty young when we got married so we had no idea about life on our own…we discovered it and each other in Nashville. Anyhow, back to temperature…I still love the heat. I have mentioned before that my office has 8 server computers in it which generate a lot of heat. It typically runs 80+ deg F during the day. I love it that way though. My co-workers call me a lizard…they say I need a rock and a heat lamp to finish out my habitat. “T” is a pretty easy-going letter. One would think that it would be simple to come up with a list of stuff starting with “T” that one likes…I mean genuinely likes. It’s harder than you’d think. I am surprised and how hard this was.